The view from the Monorail of the Esplanade and DCA entrance in November 2000, three months before opening. Disney California Adventure will celebrate its 15th Anniversary in two weeks, February 8th. To kick off a series of posts and some video I thought it would be interesting to take a look at some of my picture sets leading up to the opening. Below are four I pulled out of the archives to give a look at the final push to get the park completed and what I was posting back then. 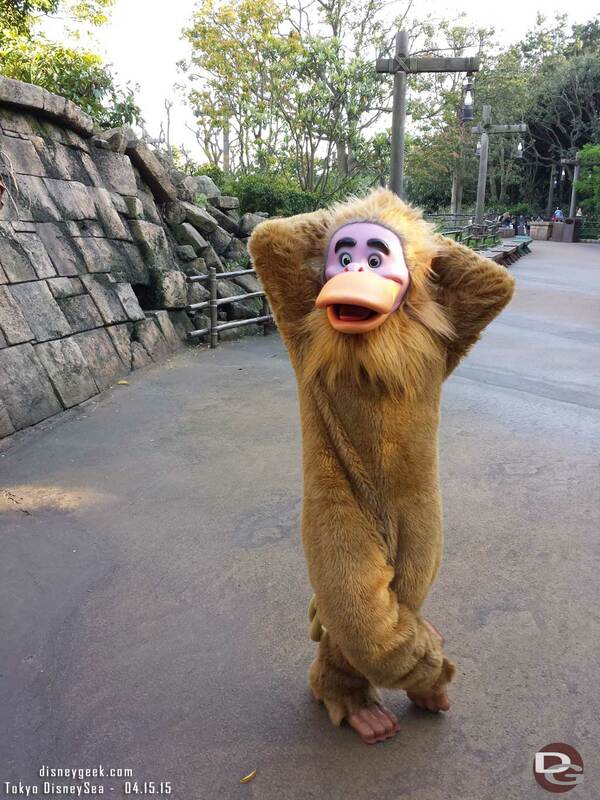 11/3/00 – DCA update from 11/3/00, just 3 months till our first look into the park during one of its AP Preview Days and a little over 3 months before its February 8th official opening. 11/17/00 – Getting closer to opening, finishing touches are starting to be applied to Downtown Disney in preparation for its opening in a little over a month. 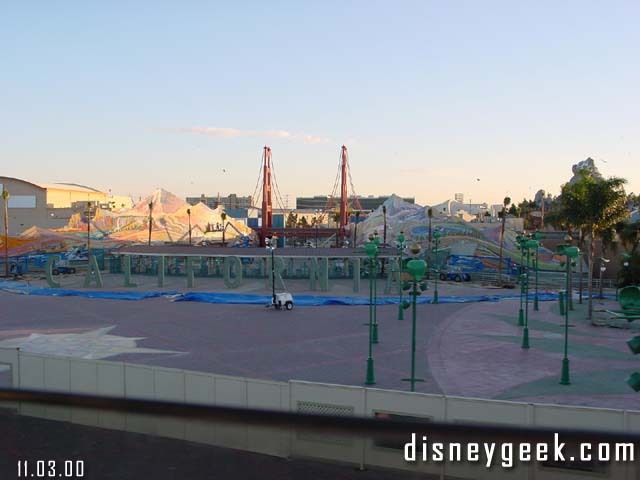 11/24/00 – Downtown Disney is really taking shape with only weeks till opening. 12/16/00 – My final update from 2000 looks at the nearly finished park and you can see some CMs testing out some attractions in the park, with opening a little more than a month away.